Hong Kong-based mobile publisher Animoca Brands has appointed former Sony managing director and vice president Michael Ephraim as its head of partnerships for Australia and New Zealand. Ephraim has been part of the PlayStation creator’s senior management team in Europe for over 22 years, while his full-time VP role was focused on Australasia as part of Sony Entertainment. 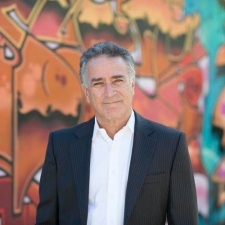 Alongside this, Ephraim served as vice chairman for the Video Game Committee of the Australian Visual Software Distributors Association for seven years, as well as chairman of esports tournaments producer Showdown. “I am very excited to be joining such a dynamic and innovative organisation at the forefront of blockchain and mobile gaming, AI, machine learning, and the digital media space,” said Ephraim. Animoca will be looking to utilise Ephraim's knowledge, with the firm recently partnering with Formula 1 to develop and publish a blockchain game called F1 Delta Time.